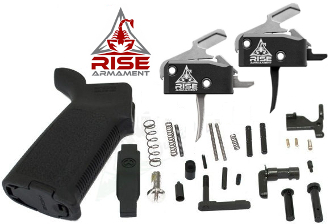 Includes all Necessary Parts for Installation into your AR-15 Lower Receiver. Anti rotation pins are not required. If you do not use anti rotation pins, be sure to follow step 8 in the installation instructions linked below.